When it comes to nutrition, advice can feel like a minefield. New research may contradict studies that came out only a few years ago, and then get replaced by fresh insight soon after publication. The fast pace of change in the nutrition world can make it challenging to separate myth from reality. But I am here to help! Eating well doesn’t have to be complicated, and here are some myths many still whole-heartedly believe. Like so many nutrition beliefs, this one likely sprang up because it worked for some people and so it got repeated, but the truth is much more complicated. The relationship between changes in caloric intake and weight loss isn’t that linear. As you increase or decrease your calories per day, your body and its metabolic system adapts to compensate for the change. That doesn’t mean changing your calorie intake has no effect on weight, but Dubost emphasizes that if you’re doing the “500 calorie cut” plan and not seeing results, you’re not alone. As a phrase, this is a powerful one. The word “clean” creates positive associations that mean success to most people. The problem is it has no standard definition, so “clean eating” is being used in multiple ways that make it confusing to follow. When her patients talk about wanting to “eat clean,” Feller asks what they mean and says she gets a wide variety of answers. Some people mean they simply want to add more vegetables into their rotation, while others are talking about doing a juice cleanse or never eating refined grains again. “Let’s find a new way of encouraging folks to lean in to embracing whole and minimally processed food on a regular and consistent basis in place of ultra-processed foods,” says Feller. Yes, this one is still around, despite numerous studies, expert commentaries and news articles shooting it down. The message that eating fat leads to being fat is deeply ingrained in people who grew up hearing this claim. In my experiences as a trainer, I have found so many people who believe fat in food is the main culprit for weight gain. In reality, fat does not make you fat and it is actually GOOD for our bodies to consume this dense source of energy. We all need a certain amount of fat in our diet to help us absorb vitamins and minerals, boost energy, fight inflammation, aid muscle function, and facilitate hormone production. Fat will actually help improve your workouts and get you to your fitness goals. It is important to keep in mind that not all fats are alike. There are healthy fats that improve good cholesterol and bad ones like trans fats that do the opposite. By switching to a fat-free product, though, you’re likely to take in much more salt and sugar, since those are added to make up for the flavor loss that comes from ridding the product of fat. Many people believe that if they eat less throughout the day, they’ll weigh less eventually; this is a variation on the simplistic calorie-cutting formula that doesn’t work either. So many times, I have seen this plan backfire and never lead to healthy, maintainable weight loss. That’s because when we don’t have enough food during the day, the body’s metabolism slows down to conserve energy, so you’re actually burning fewer calories than you normally would. Also, you are guaranteeing that you’ll overeat at your next meal, because you’ll have starved your system. 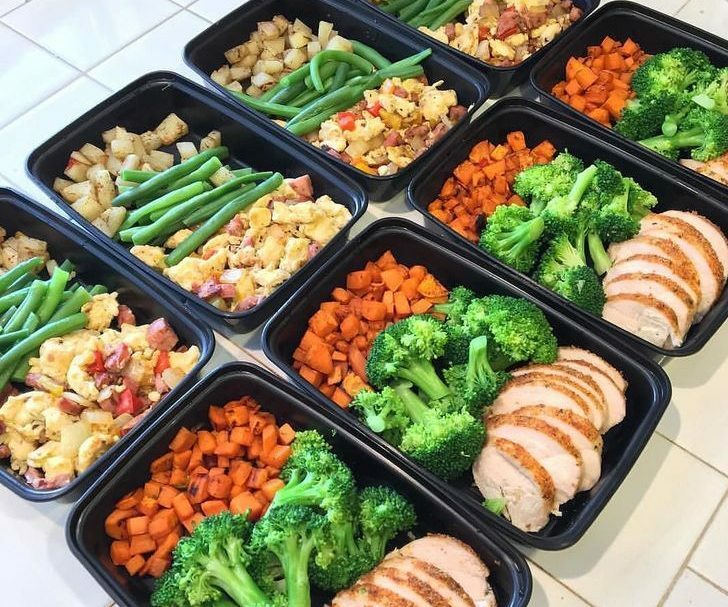 Instead of skipping meals, I advise people to eat a combination of vegetables, fruits, whole grains and lean protein about every 3-4 hours to keep the metabolism on track and boost weight-loss or weight-maintenance goals.